← Day 285 – Inappropriate!! It’s Radio Lollipop’s national fund raising day today so we can keep doing what we do – making life for kids in hospital a little less scary by making them smile through music and play. 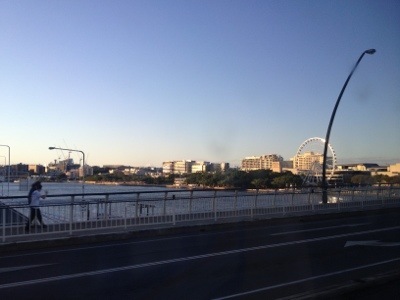 Couldn’t think of a better reason to get out of bed at 4.45am – Brisbane is so beautiful at this time of day. 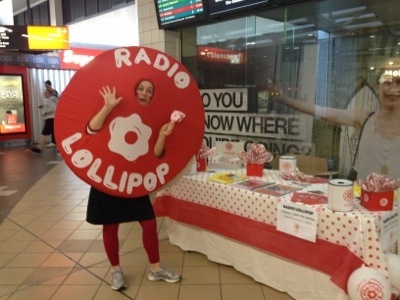 Now to my most important job – make commuters smile and sell 1000 lollipops… Wish me luck! In this outfit, how could I fail! 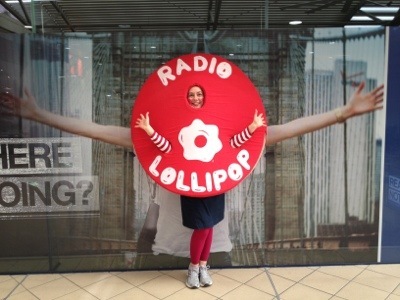 Posted in Brisbane Fun, fashion and tagged fundraising, Radio Lollipop, spring. Bookmark the permalink.